When you have three kinds of clouds coming together and catch the "rat's end" of the storm, you have a good chance of catching a rainbow she says. 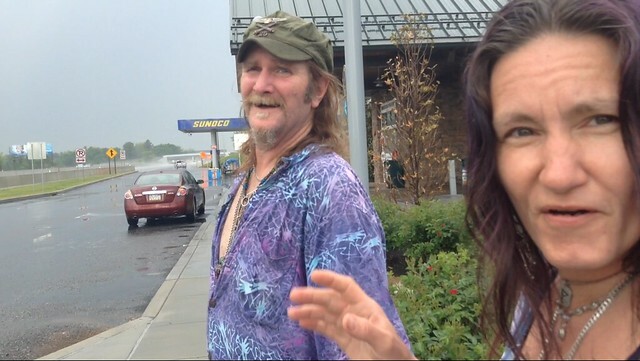 We ran into this couple at a rest stop on the PA Turnpike. They were coming from a music fest and headed towards another and had paused to see an awesome rainbow. Watch video here.